Colorado will again be a battleground state. Senator Michael Bennet will be a must hold seat for the Democratic Senate if they are to have any chance of taking back the majority (need 4 seats if they win the presidency). Congressman Mike Coffman’s seat maybe open if he moves up to take on Bennet or it may just be a fight to hold it (although after his romp in 2014 he looks more secure for 2016). 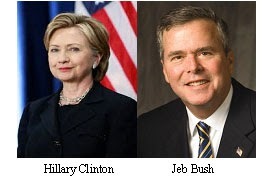 Most presidential polls show the state competitive; i.e., Clinton vs Bush, et al. And, along with losing the gubernatorial race, Republicans were most disappointed in the thin win in one house (Senate). They will be back for round two. A host of new polls cast doubt on support for many conclusions in the Senate torture report. In general, a majority of the public believes that torture can be justified under certain circumstances, namely dealing with terrorists, and that the Senate report’s claim that the techniques do not produce useful information is not credible. Large percentages also believe the report was unfair toward the CIA and a majority believes its release could hurt national security. Does Colorado Economy Go Down In Oil Price Bust? Oil below $60 a barrel priced at Brent crude will be a huge boom for American consumers and boost for the economy. Analysts describe the price drop similar to a $125 billion tax cut in 2015 or about $550 to $1,000 more to spend on items other than gas. 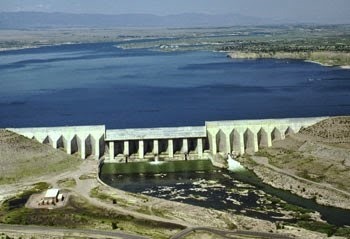 But it will affect gas and oil producing states. Colorado is not as dependent on oil and gas production for either tax revenue or as a percentage of employment and salaries as eight other states. But it’s on the cusp and Downtown Denver would certainly along with selected Western Slope counties see layoffs and slowdowns. The eight states that will be hit the hardest start with North Dakota, Texas and Wyoming because of the significance gas and oil exploration is to the economy and to state and local tax revenue. In Colorado, Weld County is the state’s Saudi Arabia and it will see an impact depending on how long the price stays below $60 which is near the breakeven point for hydraulic fracking on the Niobrara basin. The Western Slope counties of Garfield (Glenwood), Mesa (Grand Junction), and Rio Blanco will also see an affect. The lists have started for 2016. The Democrats only need four seats to take back the Senate (if they win the White House, five if not) but they will need to defend a couple of vulnerable senators seeking re-election including Michael Bennet. Republicans have a tough map in 2016 with seven senators up in Obama states, the inverse of 2014. Democrats also hope to benefit from higher turnout. Forecasting will start soon and Colorado will be closely watched. Bennet barely won in the Republican year of 2010 and just lost his colleague Mark Udall. President Obama will likely still be well below 50 percent approval and the state will probably be a presidential battleground so the expectation is Bennet will have a tough race if Republicans find a candidate. A couple of points in Bennet’s favor besides a record electorate of 3 million voters. He is a better candidate than Udall with higher visibility in both D.C. and Colorado, the Denver Post likes him and he is a prodigious fundraiser. The Hill newspaper list of senate seats in play. President Obama has support from a majority of Americans for normalizing diplomatic relations with Cuba in spite of partisan differences. Even Cuban-Americans support diplomatic relations. Lifting the travel ban is the most popular aspect of the actions proposed. CBS has asked Americans if they are in favor of “reestablishing relations with Cuba” since 1977, and the percentage has varied, but has been near 50 percent (slightly above or below) over the years and is now 54 percent. There are the usual partisan divisions over Cuban policy, especially as to the likelihood normalization will improve democracy for the Cuban people. Only 26 percent of Republicans believe it will lead to more democracy whereas 51 percent of Democrats do. But the public, including Republicans (66% favor), favor lifting travel restrictions (77% favor overall). President Obama taking executive action during the last couple of months has kept him in the news, prioritized his issues, defined his position, and greatly pleased core constituents. Obama’s approval rating has moved above the 42 or so percent it has been stuck at for all of 2014 and contributed to the deep party losses in November (see Dec. 15 blog: Republicans Control Most State Legislatures). The Cuba diplomatic decision was one executive action that contributed to his uptick in approval. And it’s those same types of decisions that Ciruli believes Obama will continue to push forward for his legacy as he tries to finish his term through a Republican-controlled Congress. “Fundamentally, what I think he's looking for is that ever so often, he’s going to do something to make sure that you know that he’s in this game because he suspects very little is going to get through congress,” Ciruli said. See 9News: Obama issues 'executive orders by another name"
Although Republicans made gains statewide, the Denver metro area continued to provide winning margins for Democrats. As expected, the seven Denver metro counties provided about 56 percent of the total statewide vote (about 1.1 million), but 65 percent of the Democratic vote. The seven metro counties supported Governor John Hickenlooper by 56 percent and Senator Mark Udall by 53 percent over their respective Republican rivals (Hickenlooper won statewide with 49% and Udall lost with 46%). Some metro residents split their ballot between Hickenlooper and Udall. Thirty-seven thousand more metro voters supported Hickenlooper than Udall. 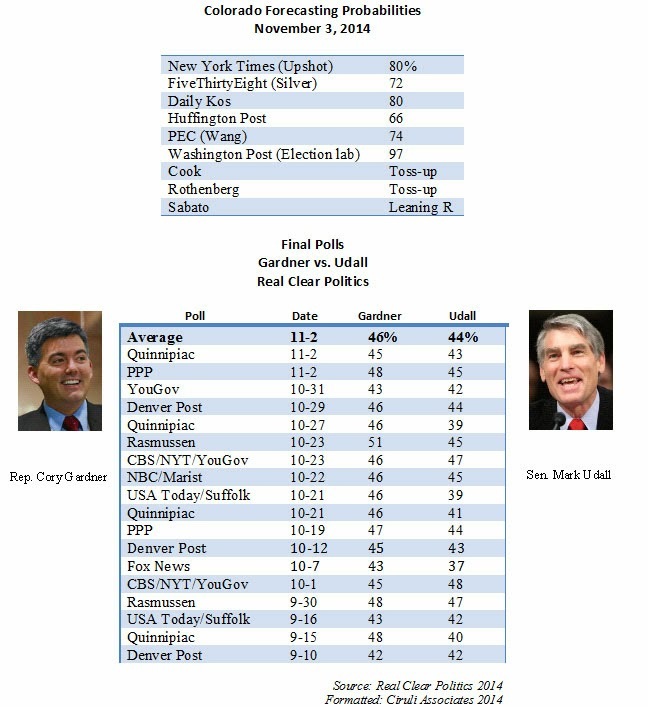 Compared to Senator Michael Bennet’s 2010 election, Udall ran one percent (53%) behind Bennet (54%) in the metro area and Cory Gardner ran one percent (41%) better than Ken Buck (40%). Udall lost for a variety of reasons, but running behind Hickenlooper by 37,000 votes in the metro area (9,000 in Denver alone) was a major factor. Denver (74%) and Boulder (68%) counties provided substantial margins for Hickenlooper. Arapahoe and Jefferson counties have shifted more firmly to the Democratic side of high-profile statewide elections while still electing numerous local Republicans, such as Congressman Coffman and county officials. Of the metro counties, Douglas is by far the most Republican. Adams, a traditionally Democratic county, provided the most interesting results. The county is undergoing significant demographic change and Republicans did much better than expected (also turnout was especially low). In the 2014 national election, only 36 percent of eligible voters participated. California was at the low end of the scale with 31 percent. Colorado was at the high end of the states with 54 percent of eligible voters casting a ballot. The state’s voter participation is typically above the national average. The 2014 final count of 2,080,000 was in line with previous midterm turnout. The range of turnout predictions ran from 2.0 to 2.2 million voters. Mark Udall’s campaign claimed that 2.1 million voters was their goal. Given the preference of voters who turned out, it would not have been sufficient even if every additional voter supported him (from 2,080,000 to 2,100,000). However, if the final number had been 2.2 million and he received two-thirds of the final vote, he would have made up his 38,000 vote deficit. A possible, but unlikely, scenario. In other words, given the percentage of the vote, Udall received (i.e., 46 percent to Gardner’s 48 percent) more turnout; i.e., the Bannock Street Project, was not likely to save him. Turnout will also be a much discussed factor in the next presidential election. The 2016 election could attract three million Colorado voters. That would be a 50 percent increase over the two million midterm voters and 400,000 above the 2.6 million who voted in the Obama vs. Romney 2012 election. The 3 million voter projection for 2016 is based on historic turnout percentages from presidential elections and an assumption on the number of newly registered voters as shown in the chart above. Colorado is the fifth fastest growing state in the country and large numbers of Millennial voters are reaching 18 years old. The estimated used in this analysis is 400,000 new voters. Democrats had hoped spending $15 million on a turnout effort in Colorado in 2014 was going to save them from a bad election environment and, ultimately, a weak campaign. Not surprising, they believe the increased turnout in 2016 will be a key advantage. But, the lesson of the 2014 midterm election is that a campaign cannot be rescued by a turnout effort if it is losing on message, regardless of the effort’s sophistication or cost. 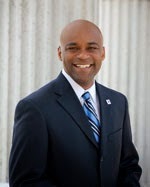 It seems surprising that Mayor Michael Hancock may get through his first re-election effort with no serious opposition. Often politicians’ biggest challenges come at their first re-elections. Among recent Denver mayors, two were challenged and one had a walk. Denver mayors Federico Peña and Wellington Webb faced major challenges. Peña barely won re-election in 1987 and Webb lost the first round, but then scored a solid win in the 1993 run-off. Most recently, John Hickenlooper easily won re-election in 2007. It is rare a seated mayor is defeated. 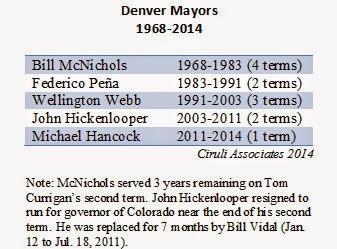 The last time, Bill McNichols in his third re-election effort was defeated by Peña in 1983. Hancock has support among major Democratic factions in a city dominated by Democrats. The African American, Hispanic and liberal communities do not appear dissatisfied or talking up potential opponents. The Denver economy is booming. In fact, if there are complaints, it’s from overdevelopment. Various neighborhood groups are objecting to the number of cranes, scrape-offs and infill projects in the city. Sales tax revenue is up 9 percent this year. Housing values are increasing (and, of course, costs) and downtown office buildings are full, especially from the energy boom. Hancock is congenial and mostly low-key. He attends charitable fundraising events more often than TV studios or press conferences. It appears to serve him well. In spite of the longshot nature of a successful challenge, there are issues that have damaged his administration’s reputation. The jail is a constant source of bad news, some of which plays into the current dialogue on police and minority relations. Cost overruns and various controversies surround the airport, the City’s most important asset and economic generator. And, the aforementioned residential-developer conflicts have several neighborhoods stirred up. Whether or not these issues lower the Mayor’s voter favorability, which registered at 70 percent in a 2013 poll, remains to be seen. Typically, the neighborhood pain threshold must get very high for Denverites to turn against a reasonable amount of residential and commercial growth and the tax base and jobs it brings. Is an opponent possible in this environment; i.e., someone beyond an eccentric or easy to ignore gadfly? With the win in Louisiana, Republicans gain nine senate seats and the last Democratic seat in the South. It has been an amazing transition from an entirely Democratic Deep South in 1960 to an entirely Republican one in 2014. 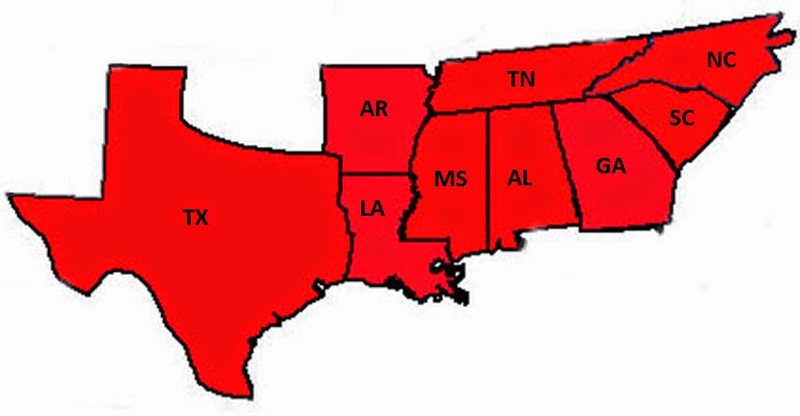 As of today, not including Florida or Virginia, no southern state from Texas to Arkansas to Georgia and the Carolinas has a Democratic senator, governor or Democratic-controlled legislature. The transition was slow. Numerous Southern Democrats were able to combine the minority voting population with white Democrats into the 1990s. But, as the national party moved left, especially in the last decade, there were insufficient liberal white voters to get to a majority. Ms. Landrieu was the end. Democrats hanging onto the Colorado House was an anomaly. The national Republican sweep was broad and deep. 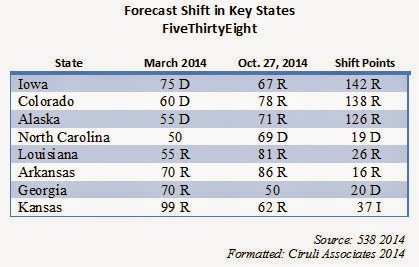 Republicans added three governors (net) to a recent record high of 31. They extended their control of legislative chambers from 59 out of 98 to 68, another record (11 chambers flipped, including the Colorado State Senate). They now have the 4,100 legislative seats out of 7,363, a record high (since 1920). Democrats controlled both houses of the legislature and the governorship in 15 states before the election, including Colorado. They now have just 7, compared to 23 Republican. The 10-year dominance of Colorado Democrats was most felt at the state legislative level. Multi-millionaires, special interest groups and their strategists realized that, given their culture and social agenda, the state legislature should be the target and could be won over with money and organization. On November 4 Election Night Republicans were within striking distance of a three-seat pickup in Senate and five in the House. Ultimately, they gained one and control of the Senate and three, but not control, in the House. Between reappointment and Democratic resources, Republicans have a ways to go to take control. In May 2015, Denver will hold its quadrennial city elections. It will be a very different affair than the battle just culminated on November 4 for governor and senator. Denver could be holding an election and nobody shows up. The 2015 Denver City election does not appear to have a major personality or issue that has captured the Denver public or attention. Dennis Gallagher, who is about to retire, was the top vote getter in 2011 when voter participation was 38 percent (113,367). Gallagher is the oldest elected person in Denver City government and the person most likely to take on the city’s power structure. Denver remains a one-party town. Governor Hickenlooper received 74 percent of the vote and Mark Udall 71 percent while they barely winning or losing statewide (Hickenlooper 49%, Udall 46%). The only two non-Democrats on City Council are term-limited: Jeanne Faatz (Republican) and Charlie Brown (unaffiliated). 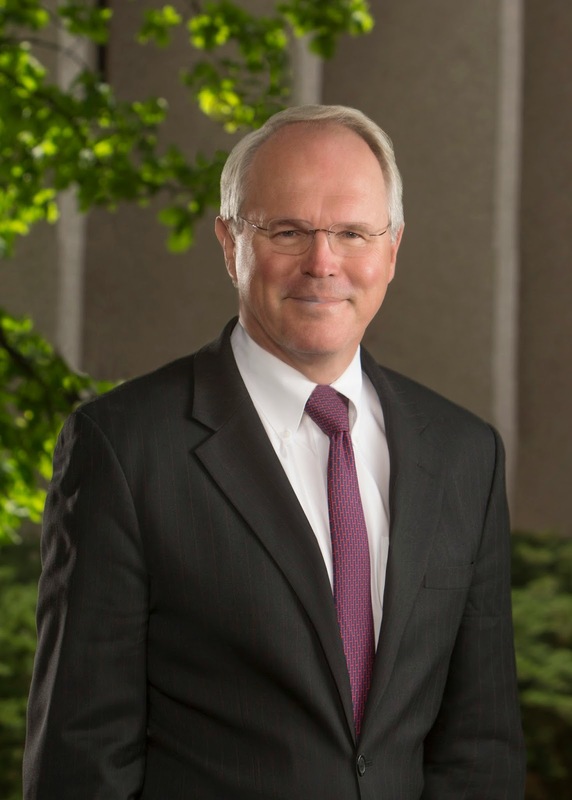 Mayor Michael Hancock is unopposed as of today. It is not uncommon to have unopposed candidates. In 2011, five candidates were unopposed: Charlie Brown, Peggy Lehman, Paul Lopez, Chris Nevitt and Jeanne Robb (there were a few write-in voters in several races). City Council jobs pay more than $80,000 plus 30 percent in benefits. Elections often begin 12 years of office holding or more than a million dollars in salary and benefits. Denver elections are a serious jobs program. Mike and Cynthia Coffman were the power couple of the November election. Probably the only real surprise Election Night was Mike Coffman’s crushing defeat of Andrew Romanoff in the 6th Congressional District. A race that had been rated as possibly one of the closest in the country ended with a 9-point win and 8,500-vote advantage in Arapahoe County. But Cynthia Coffman orchestrated an even larger 10-point win over former DA Don Quick for Attorney General. Her statewide vote total of 1,002,000 was second only to Governor Hickenlooper’s re-election total (4,000 votes behind) and the only other million vote winner. Mike becomes the frontrunner in speculation for the U.S. Senate race. After a couple of years, if successful, Cynthia can consider a full range of options, including governor, the U.S. House or otherwise. Colorado politics have been swinging back and forth with the national trends since the Barack Obama victory in 2008, including both Republican resurgences in the 2010 and today’s midterm (see Denver Post articles). But California has steadily resisted the national oscillation, and the home of Reagan and Nixon is now firmly in the Democratic camp. It makes for boring; i.e., non competitive, elections. Democrats control the governorship, both senate seats, most of the congressional delegation, all statewide offices and have near super majorities in the legislature. 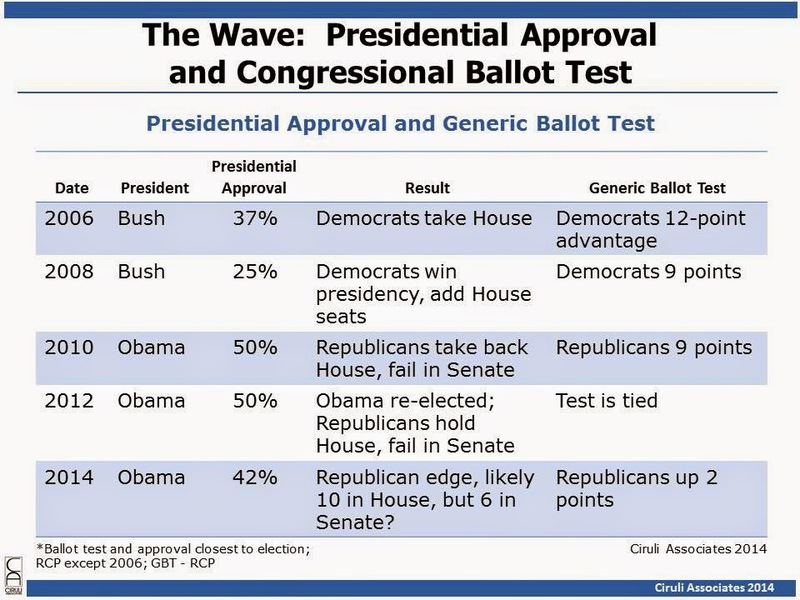 California’s best pollster, Mark DiCamillo, director of The Field Poll, explains why in a new article, which he will present at the Pacific Chapter of the American Association of Public Opinion Research on December 12, 2014 in San Francisco. The latest sales tax revenue report from the Denver metro seven-county region shows a 9.78 increase over last year. A one-percent sales tax collected region-wide would have produced $380 million for local governments (or RTD) through September, on its way to a likely half billion by year’s end. Colorado’s economy in 2014 has benefitted from the national economic improvement and specifically local population increases (3rd fastest growth in U.S. in 2013) and enhanced economic activity, such as the surge in gas and oil business. Most investment analysts are cautious with next year’s forecasts holding stock market increases to less than 10 percent in 2015 (S&P 500) and many are at 5 percent or less. Possible economic slowdown is projected due to changes in the Fed’s interest rate policy and economic turmoil in Japan, Europe and China. The S&P is up 11 percent so far this year, and an average year sees a 7 percent gain. Vladimir Putin addressed the speculation that he sees himself as ruling Russia as long as Joseph Stalin (ran USSR for more than 30 years) or Leonid Brezhnev (who served from the fall of Khrushchev until his death in 1982, 18 years). The Russian constitution currently limits presidents to two 12-year terms (two separate 6-year elections). Putin’s term is up in 2018 and he could run again, serving until 2024. If he runs for re-election, Putin could serve a total of 20 years and be Russia’s president to the end of the next U.S. president’s 8-year term (elected 2016 and could serve until 2024). Putin is highly popular today due to his nationalist policies and state dominated media, including TASS – the state controlled news agency (where he recently pledged to abide by term limits). As part of a recent exercise at the Korbel School, students speculated that sanctions and other problems with the Russian economy (low price of oil) could lead Putin to consider not running in 2018. The following were conditions outlined that he would be likely to want if he began to recruit a replacement. That replacement would look more like a military man (military currently held in high esteem) than a Kremlin bureaucrat (Medvedev). The main criterion for the leader is to win election most likely by addressing inflation and housing more than nationalism. 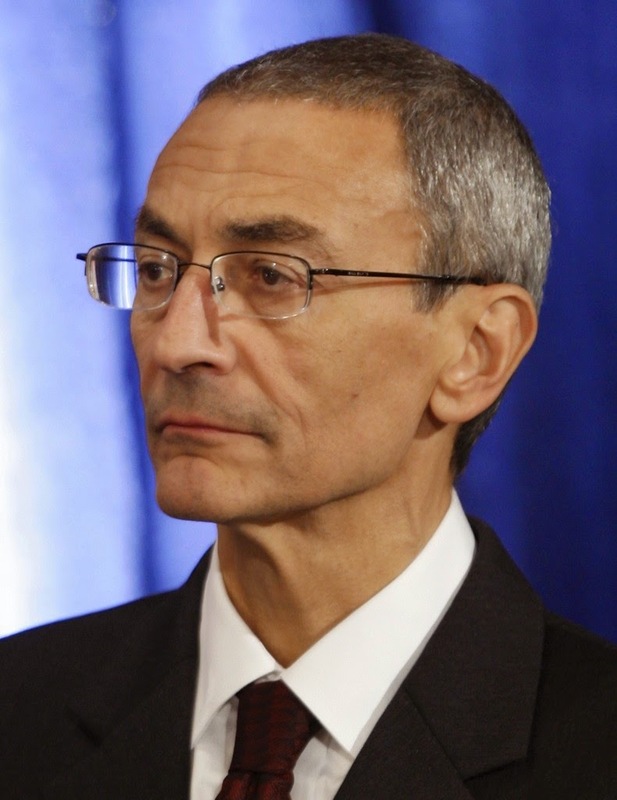 John Podesta, who may be the second most influential person in the Obama administration after Chief of Staff Denis McDonough, has the environmental portfolio and most recently scored major coups with the power plant EPA standards and the Chinese global warming agreement. He also was the President’s spokesperson on the Keystone Pipeline, suggesting that a veto was likely even if the Senate managed to find sixty votes (they got 59). Podesta’s most important contribution to the administration’s effort to remain relevant is using agencies, foreign policy and discretion (immigration) to operationalize Obama’s unrealized second term agenda and attempt to create a legacy. The administration has public support on coal regulation, but it is out of alignment on the Keystone Pipeline. Most controversially, Podesta is leading the President into a major confrontation with public opinion on the use of his executive powers. Podesta, the consummate policy éminence grise (he may do a talk show or a special interest speech, but he generally stays well behind the President, secretary or agency head he’s guiding) may be producing a backlash from the overreach and is likely creating precedents for the next Republican administration. 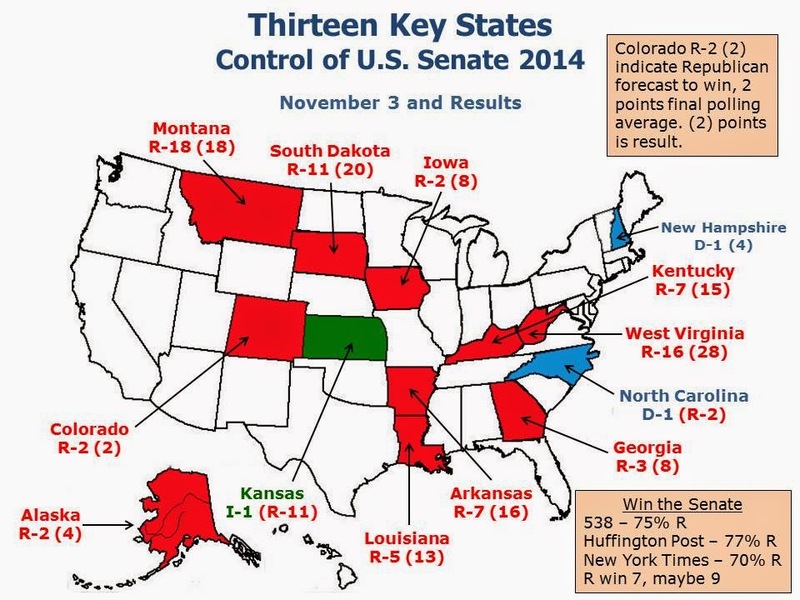 In a Denver Post November 30 commentary, the impact of the 2014 battle for control of the U.S. Senate is analyzed. The proliferation of polls marshalled into powerful forecasts weeks before Election Day created the narrative of winners and losers. More than a hundred million dollars flooded into the state, mostly from sources independent from the senate campaigns and it dominated the media messages voters saw. Candidates became more isolated as strategies and messages were nationalized and the main task was to avoid mistakes. The heat of the 2014 midterm elections has barely cooled, and voters’ ears are still ringing from the harangue of political ads. But how many of those appeals to voters dealt with issues specific to Colorado? Former House Speaker Tip O’Neill coined the long-used maxim, “all politics are local.” Recent midterm elections have trended away from that dictum, but the 2014 midterms may have buried it — at least in Colorado. The most distinguishing characteristic of its two senate candidates, Cory Gardner and Mark Udall, was their red or blue identity. Their biographies were known, but not salient. The most important issues were the president’s popularity (or lack of) and the control of the U.S. Senate. Gone are the quaint days when candidates debated public land issues, building a water project or funding the interstate highways. This year, the attention was on party control of the U.S. Senate, and those races became marque players in the national narrative. National Journal/CNN analyst Ron Brownstein describes our federal elections as evolving into a type of parliamentary system where the candidates and local issues take a backseat to the national outcome – in this case, control of the Senate. This nationalization of the races greatly helped the Republicans this year. Mark Udall and his equally vulnerable colleagues in states such as Arkansas, North Carolina and Louisiana wanted to run local races on their own record as incumbents. But they were rapidly swept into the national drama of the Harry Reid vs. Mitch McConnell show and concentrated on how to avoid being seen or associated with President Obama. Throwing gas on the fire of this nationalization was the proliferation of polling and the introduction of multiple competing forecasting models. From Labor Day to Election Day, Colorado saw a record number of more than 25 published polls on the U.S. Senate race with a rush toward the end. Nate Silver, the main proselytizer of the forecasting model that gained acclaim in the 2012 presidential race (his branded website 538), helped spawn more than a half dozen models this year hosted by the New York Times, Washington Post, and liberal blogs Huffington Post, Daily Kos and others. Although there continues to be a debate about whether polls directly affect voters, clearly they affect the reporting of a race and can alter the behavior of the campaigns — in this case, to Mark Udall’s detriment. The forecasting models, used for the first time in the 2014 “control of the senate” storyline, blend local historical data, such as who won recent presidential elections, with candidate information, such as incumbency. Before Labor Day, there were few polls, but Colorado forecasts favored Udall – an incumbent in an Obama state. After Labor Day the forecasts were dominated by poll results and suddenly Udall was behind. That was mostly a product of the polls using their likely voter models and the uptick in advertising for GOP candidates. During the last thirty days of the campaign, the forecasts showed Cory Gardner winning by a couple of points, with probabilities of more than 70 to 80 percent. The Udall campaign was tossed on the defensive. The campaign made public its own polls that showed Udall ahead and maintained the Bannock Street Project ground game would prove the forecasts wrong. The massive outside money pouring into the Colorado senate battle was also a product of the nationalization of the race, and it harmed the incumbent. Of the money spent, the candidates expended barely one-third with Udall ahead. But the TV time purchases of both campaigns were swamped by the dollars from independent expenditures, namely Karl Rove and the Koch brothers for the Republicans, and the Harry Reid, Planned Parenthood and Tom Steyer committees for the Democrats. In addition, Udall’s “war on women” theme was further amplified by supportive independent spending making it even more overbearing. The nationalization of the campaigns also contributed to the isolation of the candidates. As the TV advertising became dominant and the issues limited, the candidates’ main task was not to make a mistake. The lesson learned from the 2010 and 2012 cycles, especially for Republicans, was to avoid all social issue discussions and assume you are on the record and potentially viral at every moment. Colorado U.S. Senate candidates became hard to find. This is the new Colorado election trend. Since this election re-affirmed Colorado’s battleground status, the state can expect more of the same for the 2016 elections when Senator Michael Bennet will be up for re-election and the country will pick a new president. What can we expect? A couple of national themes, mostly around support and opposition to President Obama; massive money, mostly from independent sources; nonstop television advertising and starting early; forecast polling with predictions on a daily basis; and candidates in controlled, mostly artificial environments. Colorado is popular and this is the price. Can’t wait. 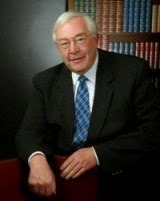 Floyd Ciruli, founder of Ciruli Associates, is a Denver-based pollster and director of the University of Denver’s Crossley Center for Public Opinion Research. regular on cable news. He not only served in most of the world’s hotspots, but he has a rare diplomatic trait – saying what he thinks. Candor from diplomats, even when retired, is rare. If you want to really know what a professional diplomat thinks about Iraq, read this interview. Prime Minister David Cameron faces a difficult parliamentary election in May 2015. Not only does Britain’s historically stable parliamentary system appear to be fragmenting into a multiple party system requiring coalition governments, but his party, the Conservatives, appear to be losing their far right euro skeptics to a new independent party, UKIP (United Kingdom Independence Party). Cameron’s current partners, Liberal Democrats, are losing support and may be unable to help form a government. At the same time, opposition Labour, led by Ed Miliband, are no more popular than the Conservatives. American political consultants David Axelrod and Jim Messina are helping Cameron’s Conservatives and Miliband’s Labour parties, respectively. As Obama’s top hands in 2008 and 2012, they know elections. But, they also are experts on producing gridlock. One of the newly re-elected Governor Hickenlooper’s priorities in 2015 is to refine the about to be released draft state water plan into a final document. Articles in the Denver Post and other news outlets make clear that at least two interest groups continue to resist a plan that advocates Colorado developing its full share of water. 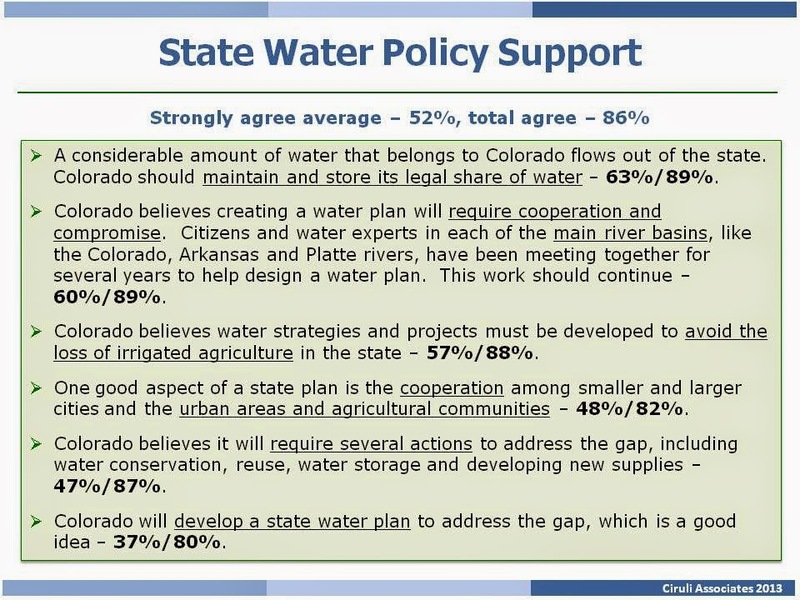 Fortunately, Colorado citizens strongly support the water planning process and the basic assumptions that undergird it. In the most important poll tested and talking point-ready policy of his second term, President Obama used his executive authority to provide millions of illegal immigrants a temporary safe status. They will be able to apply for work permits, driver licenses and basic documents. In a speech better prepared than his last TV address on September 10 announcing the beginning of the “war” against ISEL, Obama took the controversial step that has long been promised and repeatedly delayed due to the politics. But, Obama believes action is better than no action to prove his relevance and lift the Democratic Party out its post-November 4th funk. His recent actions on climate change, net neutrality and now immigration reform displays him as a leader and not a lame duck. The policy obviously rallies the progressive wing of his party and further cements its relationship with the Hispanic community, especially activists and elected officials (Hispanics gave Democrats 63% of their votes in midterm election according to exit polls). The degree of its long-term benefit assumes the Hispanic vote grows a percentage of the electorate and continues to vote Democratic. Republicans are divided in a response and, in spite of the fact that they will control both sides of the Hill next January, their options are either weak or vulnerable to appearing extreme. Lawsuits are slow and lack drama. The shutdown and impeachment wing of the party continue to agitate for the most harsh measures, offering controversial options for an issue the public relates as secondary. Establishment leaders and the party’s consulting class want to avoid hostility with Hispanics while countering the President’s order. Expect more emphasis on the executive order than the substances of the proposal. In a change of pace for an Administration not known for smooth rollouts of initiatives, Obama had an answer for all the expected Republican counters such as its amnesty (what we have now is amnesty, this is accountability), it will lead to gridlock (this shouldn’t lead to a shutdown or stop us from other deals), it’s unconstitutional (other presidents have done it, this is a limited program). The program clearly has risks. Indeed, recent polls confirm that an unpopular president unilaterally deciding a controversial initiative starts in a very weak position. After the political disaster of November 4, Obama remains at 42 percent and his party is now in polls behind Republicans on handling a number of issues, including immigration. A plurality of the public oppose executive action by the president on immigration. Amnesty is hard to define, but easy to label on immigration policy. The public supports a path to citizenship, but it requires conditions, and even then, a passionate opposition continues. The public claims it voted November 4 against gridlock and the Democrats’ contribution to it. This act will clearly exasperate it. Colorado is one swing state where the Hispanic vote is very important. 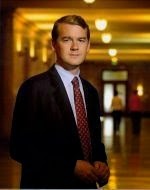 Needless to say, Michael Bennet supports the President’s policy. How this plays out is unclear, but Obama and his fellow Democrats have finally taken a position. The President is convinced that alone is a victory that will set the stage for more. Washington Post: This summer, support for a path to legalization dipped badly. It’s bounced back. 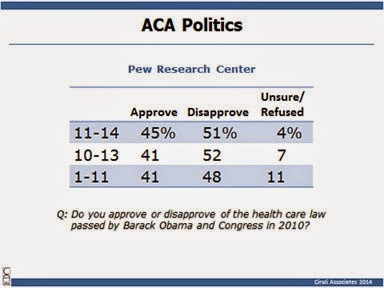 The Affordable Care Act (ACA) still does not have majority support from Americans. Numerous polls show it approximately tracks President Obama’s approval of 40 percent. And, approval hasn’t changed significantly since passage in 2010. With a new Republican majority in the Senate and the latest controversy from one of the academic architects loudly admitting design and promotion in 2009 and 2010 was strongly influenced by a deliberate strategy of deception, the ACA has never been more vulnerable. The latest Gallup poll has approval at 37 percent, an all-time low. In fact, the only thing stopping a repeal reaching the President next year is the Senate’s 60-vote rule that can keep bills from being considered (such as the Keystone Pipeline). The ACA was far more important as a voting decision to Republicans than Democrats in the midterm election (Republicans 64% important to 42% for Democrats) and only 8 percent of Republicans approve the act vs. 72 percent of Democrats. So, Republicans are safe within their party to oppose it and advocate repeal, but the country is highly divided on the government’s responsibility to provide coverage for all (51% no, 45% yes) and there is only modest support (less than 30 percent) for repeal. To pass the Keystone Pipeline out of the Senate during the interim session, supporters, which now include Senator Landrieu of Louisiana, needed 60 votes. 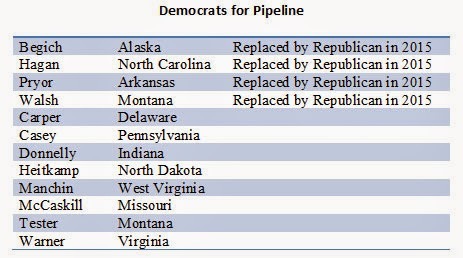 Senator Bennet joined 12 fellow Democrats (plus Landrieu), which got them to 59. It failed. 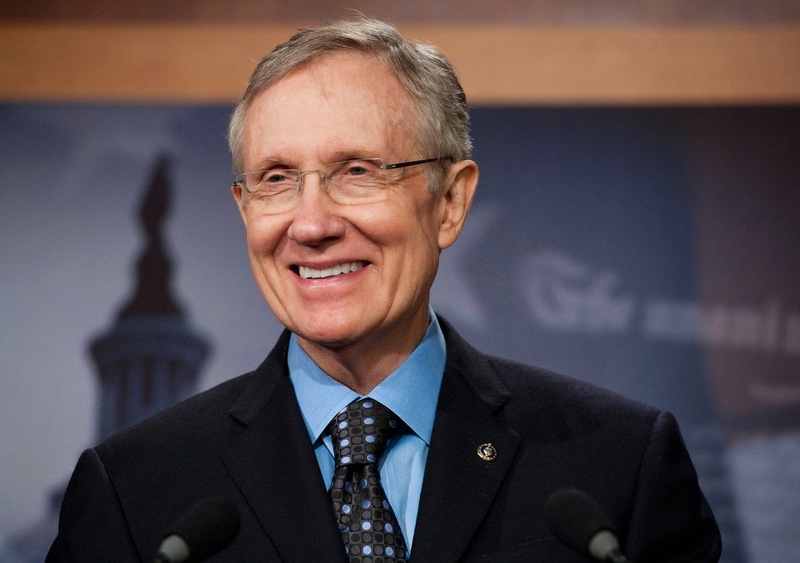 One reason Senator Reid is so intent on saving the Landrieu seat even though he is now the Minority Leader regardless is that Democrats in the next session want Republicans to have to find seven votes not six. Currently, Mitch McConnell has 53 Republican seats next January. 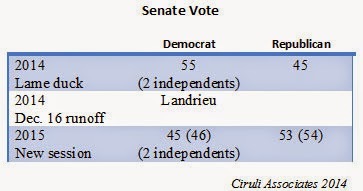 Landrieu losing to a Republican gives him 54, or only 6 short, to send legislation to President Obama. Of course, with a presidential veto, Republicans need 69 votes to override – a much tougher number to reach. Now that Colorado has reestablished its swing state status after the November 4 split decision, speculation has started concerning first term Senator Michael Bennet’s re-election prospects. Voter turnout will be up to presidential levels. The 2 million this year will balloon to 2.7 or 2.8 million. Many of the less frequent voters lean Democratic. Bennet works his Washington and Senate networks for maximum advantage. He’s substantially less publicity shy than Mark Udall. It’s assumed he’ll be ready with a powerful resume and a substantial war chest. The Republican bench in Colorado is thin if current officeholders are the main prospective candidates. Congressman Coffman and State Treasurer Stapleton may not be interested. Stapleton looks more to the governorship in 2018 and Coffman would not necessarily get the field clearing effort by major donors and Republican leaders that Cory Gardner received. The Democratic nominee for president and Democratic senators up for re-election will likely be running with a very unpopular president. Historically, passing on the presidency to the same party after an unpopular president is difficult. It is far from clear Washington and especially Congress will be in any better graces with the public in 2016 than today. In any event, maneuvering the gridlock and partisanship will produce votes that will test the most agile politician. Bennet’s recent vote in favor of the Keystone Pipeline was understandable given his previous position on the issue and responsibility for vulnerable Democratic senators, like Mary Landrieu, but it upset grassroot environmental Democrats. There will be many votes over the next two years that produce conflict between trying to find agreements with Republicans and the interests of Democratic core constituencies. 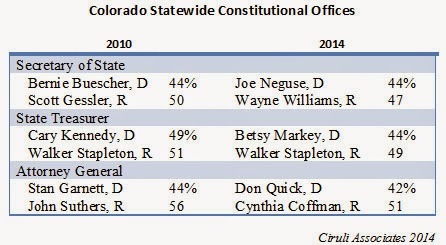 Midterm elections have been good for Republicans running for Colorado statewide constitutional offices. Appointed incumbent Democrats were beaten in the 2010 midterms and three credible candidates crushed in the 2014 election. It appears Cynthia Coffman was nearly the state’s highest vote getter, being beaten by the governor by only about 700 votes. Colorado’s three most Democratic congressional seats don’t vary much in midterm elections compared to presidential years. Diana DeGette, Jared Polis and Ed Perlmutter’s margins have remained the same in the recent midterm and presidential elections. Interestingly, the redistricting changes from 2010 to 2012 when compared to 2014 don’t appear to make much of a difference in the final numbers even though there were changes in the geography of two of the districts. The statewide percentage vote leader was Ken Buck with 65 percent. Even with Mike Coffman’s substantial win over Andrew Romanoff (9 points), Coffman had the lowest re-election percentage of the seven districts at 51 percent. In general, with the exception of Coffman’s 6th CD, Colorado congressional candidates all won by double-digits. As the first November 4th returns were reported, it was clear Congressman Mike Coffman was winning a huge victory. His early lead in Arapahoe County doomed Andrew Romanoff and led 9KUSA to call the race early (and first). Coffman ultimately carried Arapahoe by 8,500 votes. He won all three of his district’s counties, and by a final total of nine points. In a race that was considered one of the closest in the county earlier in the year, where both candidates had ample financing, Romanoff was completely crushed at the end. This result was not just a product of a bad year, while Romanoff was losing Arapahoe County by more than 8,000 votes. Mark Udall carried the county by 3,000 votes and John Hickenlooper won it with 18,000. Scott Tipton won a huge victory across the entire 29-county Third Congressional District, including old Democratic stronghold Pueblo County. The victory was even more impressive given his opponent was former Pueblo State Senator, Abel Tapia. Maybe last year’s successful recall of Democratic State Senator Angela Giron, who Tapia tapped to be his replacement when he retired, was the harbinger of the Democrats’ future problems. The only holdouts to the Republican sweep of the Western Slope were liberal ski communities: Gunnison (Crested Butte), Pitkin (Aspen), San Miguel (Telluride), old labor areas (Lake), and a few Spanish/Hispanic counties, such as Costilla and Saguache. Ken Buck was never Todd Akin, Richard Mourdock, Christine O’Donnell or Sharron Angle. He made some mistakes in 2010 that were effectively used by Democrats to defeat him in a year he should have won. But, Buck was not as extreme as those he has been tossed in with over the last four years. He would have probably not been an effective senate candidate because of that image, but due to some good fortune and the good sense to trade positions with Cory Gardner, he is now likely a congressman for a very long time. Colorado politics took a dramatic turn to the center-right in the 2014 midterm election after a decade of liberal dominance. Republicans now can operate from a platform with a new Republican U.S. Senator, control of the State Senate and a sweep of state constitutional offices. The final vote for Mark Udall and John Hickenlooper reflected a swing of about 106,000 votes, with Hickenlooper winning with a 63,061 vote edge and Udall losing by 43,392. Udall’s loss was the inverse of Michael Bennet’s two-point (28,859 votes) win in 2010. The vote total in a host of swing counties told the story of the differences between Udall and Hickenlooper, along with some exceptional Republican vote totals in traditional Democratic counties of Adams and Pueblo. 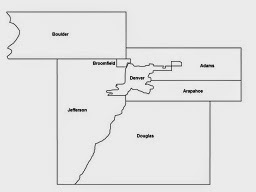 Jared Polis has ten counties in his Second Congressional District. He lost half of them, including the largest, Larimer, to an unknown and underfunded Republican candidate, George Leing. Polis also lost Jefferson County, which with Larimer are among the state’s most important swing counties. Although Polis may have ambitions in Washington and, in fact, may become a player in the U.S. House, he has limited political marketability in Colorado. 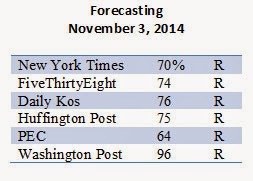 The forecasts uniformly predicted a Republican controlled Senate and many said by seven seats. (It’s now eight and could go to nine after the Louisiana runoff on December 6.). The last forecasts missed Kansas going substantially Republican and a close Republican win in North Carolina. They had the independent and Democrat Kay Hagan ahead, respectively. Looking over the final pre-election forecasting map, the major difference was the margin of Republican victories in many states exceeded the final polling averages. For example, the Ernst Iowa victory of 8 points not 2, Senator Pryor in Arkansas lost by 16 points and not the projected 7, and Ms. Nunn in Georgia lost by 8 not the 3 on the last polling average of November 4. The forecast and two-point margin nailed the Gardner victory in Colorado. Although Colorado became a national battleground for control of the U.S. Senate, it is the local patterns and trends that we’ll watch most closely Tuesday night. Total Turnout: The entire national punditocracy is watching Colorado’s voter turnout. It has become the linchpin of the Democrats’ counter-argument that they will win the election. Democrats claim the bulk of the public polls are wrong; i.e., they miss Hispanics, young and other less frequent voters who the Democrats claim they will turn out or have turned out during the two-week voting period. The estimate is 2.0 to 2.2 million voters. Currently, Democratic partisans are running well behind Republicans in the totals. Unaffiliated voters, which is comprised of many younger voters, are lagging in turnout. Swing Counties: Colorado voters have been giving Democrats statewide victories in the last three elections because in the three most closely balanced counties, in terms of partisanship (each with substantial numbers of unaffiliated voters), Democratic Senators Udall and Bennet won them in 2008 and 2010, respectively, and President Obama in 2012. Does Cory Gardner win Arapahoe and Larimer and barely lose Jefferson? If so, he will likely win the state. Urban/Rural Split: Republicans will need to meet the expected Denver metro area Democratic advantage with a huge turnout from rural, non-metro Colorado. Governor Bill Owens won his first gubernatorial election by only 8,300 votes due to high margins in the High Plains and in Mesa, Weld and El Paso counties. The Other Senate Fights: The battle for control of the Colorado State Senate will be settled in a handful of legislative districts, with Jefferson County the center of the action with four seats in close dispute: Andy Kerr’s SD 22, Cheri Jahn SD 20, Jeanne Nicholson SD 16 and Rachel Zenzinger SD 19. Out-of-State Initiatives: This year, two out-of-state interest groups offered Colorado voters their ideas. Both have done poorly in final pre-election polls, but one spent wildly to convince Colorado voters that gaming at race tracks was a great idea. The other, labeling food if genetically engineered, had early voter support, but fell off in the face of a massive anti-TV campaign. Narrative: The early signs of a Republican sweep will come in from New Hampshire, North Carolina and Georgia where very tight races for senate have consumed millions in advertising. Two Democratic incumbent senators, Shaheen and Hagan, are fighting to survive and an open Republican seat is being effectively challenged by Sam Nunn’s daughter, Michelle. Although Colorado politics are unique, in this race they have been heavily influenced by President Obama’s approval and the general disapproval of the Democratic brand. If Republicans pull off unexpected victories in the East, Colorado being the exception is possible, but most likely it’ll succumb to the final trend. Colorado was one of a handful of states where the early forecast predicted a Democratic win, but on the eve of the election, the Republicans are overwhelmingly favored to win. Moving in the opposite direction was Georgia, predicted as a Republican win and now a tie on the FiveThirtyEight forecast. 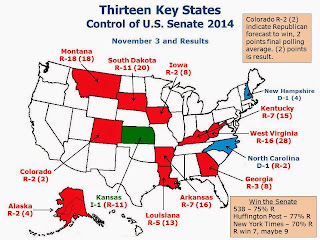 Control of the U.S. Senate is the story of the 2014 election. For the average voter, their motivation is mostly related to President Obama’s leadership. 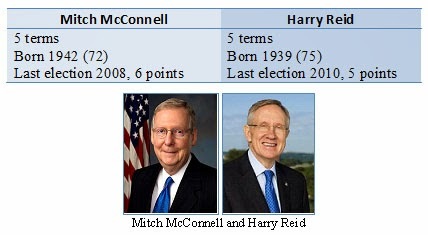 But making Mitch McConnell, who must survive his own re-election, the new Majority Leader will have the most impact on American politics going into 2015. The national forecasters are predicting a win by Republican Cory Gardner for the U.S. Senate with high levels of confidence. But Democrats and their allies are pushing back arguing there is a bias in published public polls, especially in Colorado, against Democrats. Their concern is that the “Udall is losing” final media narrative is leading to a host of negative stories about problems in the campaign and could harm turnout. Forecasters, especially Nate Silver of 538, address the bias argument admitting it is possible in Colorado, but that the forecast accounts for bias for and against a party in a particular state and throughout the entire range of states being tracked. Hence, the election will be a test for the candidates, the public pollsters and the forecasters. The fourth update on the 2014 turnout shows returns of 1,379,962 as of Monday, November 3. They are near two-thirds of the expected turnout of 2.2 million (63%). The estimate based of voter turnout in 2010 is about 2.2 million voters (72% of active voters of 2.9 million). They are 47 percent of the active registration of 2,916,145. If the expected turnout is to be reached, more than 800,000 votes will need to come in by 7:00 pm, November 4, and be counted as soon as possible. Republicans continue to overperform their registration (41% returns on 32% registration). Democrats run at about their percentage of registration and unaffiliated behind theirs (26% compared to 35% of registration). Republicans maintain their lead over Democrats in returns by more than 110,000. Ballot mailing began Tuesday, the day after Columbus Day, October 14. First returns were reported Friday, October 17. Republicans continue to hold a lead of 9 points, or more than 100,000 partisans. 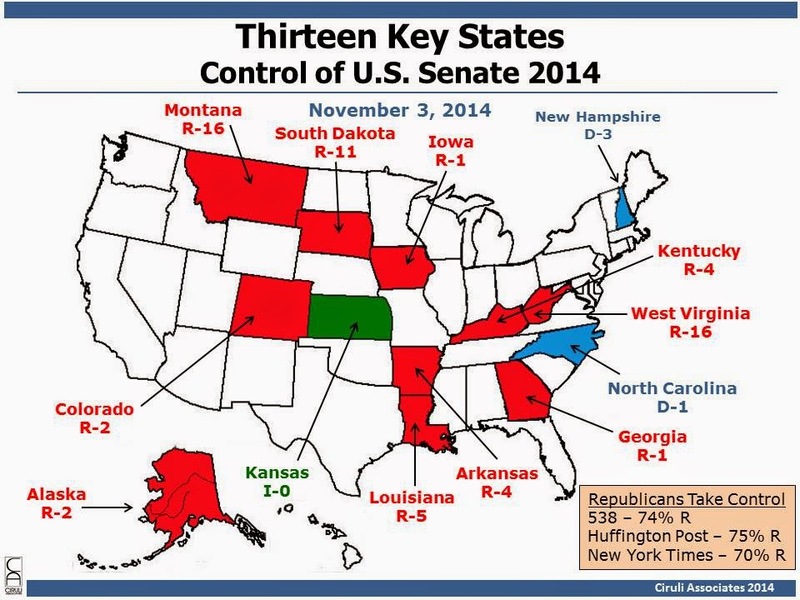 Thirteen states have been closely monitored as the core of any possible change in control of the Senate. It is assumed Democrats will win former Democratic seats (now open) in Montana, South Dakota and West Virginia. Republicans are vulnerable in Kentucky (McConnell), Georgia (retiring Chambliss) and Kansas (Roberts). The battleground seats are Alaska (Begich), Arkansas (Pryor), Colorado (Udall), Louisiana (Landrieu), North Carolina (Hagan), New Hampshire (Shaheen) and Iowa (open D, Harkin). leadership of the Democratic House caucus. If, as expected, Democrats lose seats in the election, this will be the third election as the leader where the party lost seats. In fact, the party today has less seats than when she led as Minority Leader prior to the victory in the 2006 election that made her speaker. Before the 2006 election there were 202 House Democrats and today there are only 201. They are expected to lose 10 or more on November 4. There is a debate among friends and adversaries as to her future. People close to her say she likes serving, is still a great fundraiser and now wants to help Hillary Clinton become president. But, her election track record is poor and she has become a useful target for Republican congressional candidates. Republican Mike Coffman has used her in his campaign. In general, she is a liability for candidates in close races. At 74 years old, most of her partners, especially from California, have retired. Steny Hoyer, the Democratic House Whip, is now 75. As the heir apparent, he’s beginning to look like Prince Charles (65) – forever in waiting. The third update on the 2014 turnout shows returns of 1,149,745 as of Friday, October 31. They are half of the expected turnout of 2.2 million (52%). The estimate based of voter turnout in 2010 is about 2.2 million voters (72% of active voters of 2.9 million). They are 39 percent of the active registration of 2,916,145. Expect a rush of a million ballots over the weekend and Monday, with possibly an exceptional drop-off of procrastinators and people who prefer having an “Election Day” event. The 2014 Colorado election has been intensely covered by both local and national media, plus some international coverage. As the race closes out, stories have focused on the Democrats on the defense and media and party tactics (GOTV). The following is a sample of coverage the last week. According to Floyd Ciruli, a pollster with long experience in Colorado politics, most of the 411,000 new voters who registered during Udall’s term are independents. Consequently, instead of tilting Democratic, party registration in Colorado is still evenly split, with a slight edge for Republicans among “active” voters — the kind who participate in an off-year election. Says Ciruli: “The state is still in play.” Or, as any resident of a Denver suburb will tell you: It’s one-third, one-third, one-third. “I think the implication is that the issue is still controversial, there is no clear winner,” Ciruli said. 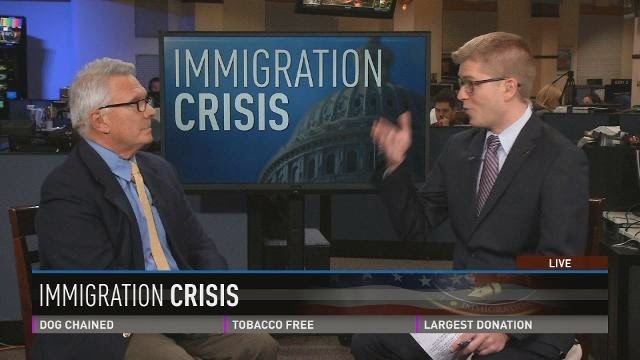 Even issues related to immigration on the state level, such as the non-citizen driver’s license program, remains controversial for both gubernatorial candidates. Gov. John Hickenlooper signed the law, but it has been underfunded and difficult to access, critics have charged. Political analysts predict the U.S. Senate and gubernatorial races will come down to a margin of just one or two points. But those few extra voters may need some nudging to make sure their ballots end up in the mail, not the trash. This is the first general election when every registered voter got a mail-in ballot, no matter how long it’s been since they voted. No one seems quite sure what that will mean for turnout, but it does greatly expand the potential voter pool. “All of those people are getting a ballot, and they’re on lists, and that list is accessible to the parties,” says pollster Ciruli. Republicans are ahead in eight senate seats, but the leads are modest and they remain vulnerable in Georgia. Democrats have good ground games and lots of money to keep the races close to the end. In the House, the handicappers, such as Cook and Rothenberg, believe Democrats will lose 8 to 12 seats. Part of the continual closeness of the races is the lack of an identifiable wave. The generic ballot test, as of October 31, was only 2 points to the Republicans, down from 4 weeks earlier. It was 9 points to the Republicans in their big win in 2010 and 12 points to the Democrats in their takeover of the House in 2006.